Carnival Cruise Line announced today that the Carnival Radiance will be the first cruise ship to feature “Big Chicken,” a seagoing version of a new restaurant created by the line’s Chief Fun Officer, Shaquille O’Neal. 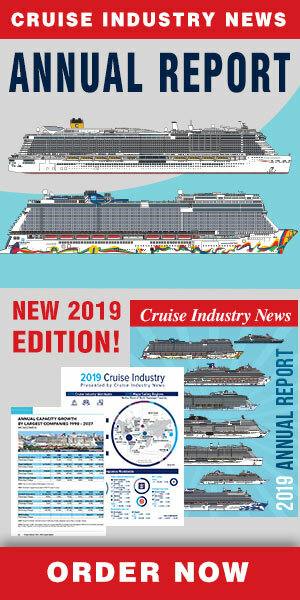 The Carnival Radiance will emerge after a $200 million drydock on the Carnival Victory in early 2020. The new restaurant will feature fried chicken sandwiches and fries, all free of charge, Carnival said. O’Neal opened his first land-based Big Chicken restaurant in Las Vegas in late October. A variety of fried chicken sandwiches will be featured, with playful monikers inspired by Shaq’s litany of clever nicknames for himself, along with his own take on traditional sides, according to a statement. Breakfast will be offered as well with choices like chicken and egg biscuits that serve as the perfect morning accompaniment. Service is a breeze, with patrons placing their order at the counter and picking up their items right away.